Synopsis: Career on hold and living with her father, life has not gone as Jillian Sandro planned. But she knows it's just another bump in the road and keeps moving forward. When a running accident leads to a chance encounter with an intoxicating and intimidating neighbor, Jillian wonders if this is a chance for a brighter beginning. As a secret operative, Reid Jackson avoids intimate relationships like the plague. Having a girlfriend would be like having a third arm, while they may be useful now and then, both would just get in the way. Yet when Jillian stumbles into his arms, literally, Reid can't deny the attraction. Could being neighborly really cause that much harm? When Jillian gets caught in the crossfire, she learns just how dangerous Reid's world can be. And that he may not be the only one lying to her. 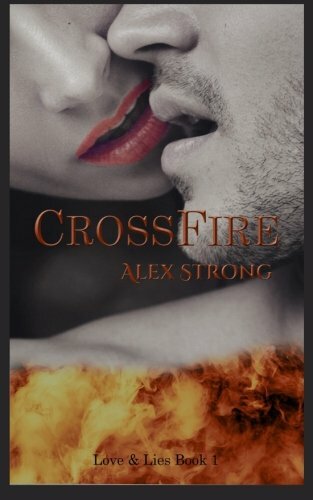 About the Author&colon; Alex Strong has loved stories, whether she’s reading them or telling them, since she was very young. But it wasn’t until after the birth of her youngest son that she realized what she wanted to do most was be an author. Her past lives include working as a waitress, a sales clerk, and a nanny. Though she has been all around the world, including two years living in the Philippines as a child, Alex is proud to call the Pacific Northwest her home and lives in the Seattle suburbs with her husband, their two boys, and two fluffy dogs.